Marion Morrison created South American pictures in 1975 as a library of photographs. 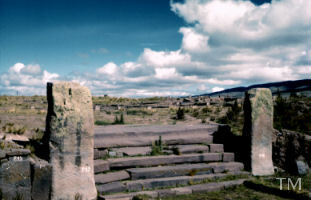 Initially the archive was based on pictures taken in South America by Tony Morrison beginining in 1961. Later the library covered Mexico, Central America, Cuba and New Mexico. Tony and Marion continued to add pictures and the depth of the library was enhanced by including the work of Associate photographers with specialist interests. By the 1990s the South American Pictures name also covered Marion's writing projects and collections of older photographs we gathered in our travels. By the year 2000 the resource was known worldwide. Bit by bit the archive is being re-structured into a few Specialist Collections and those images that can never be repeated. We are also selecting some of our earliest black and white images for Nonesuch Silver Prints. 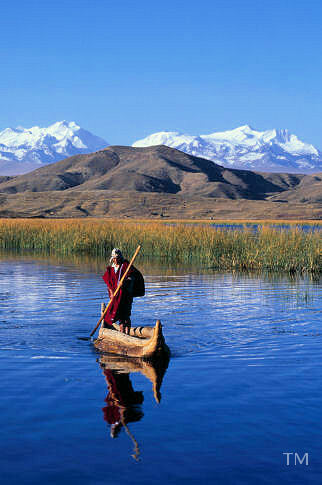 This 1990 picture from Lake Titicaca with an Aymara boatman is a 'times past' scene. The snow has receded and such reed rafts are hard to find in regular use. Our first colour pictures of the lake date from 1961 and we have monochrome from the 19th century. 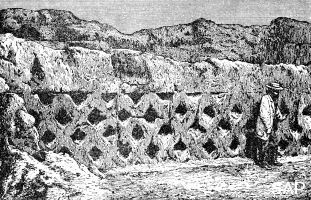 The archive covers some sites from the first discoveries to the present. 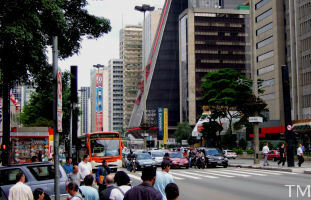 São Paulo is in Brasil on the east side of the continent close to the Atlantic. 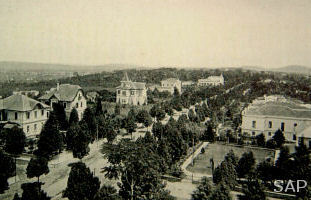 In the late 19th century the Avenida Paulista was a line of up-market houses in open countryside. Today it is the heart of the largest city in the Americas. 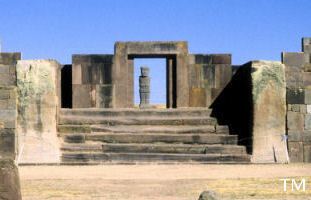 Tiwanaku - or Tiahuanacu in Bolivia has been excavated and then reconstructed. And not all archaeologists are happy with the result. The library has colour photos from several stages starting in 1961. Also the library holds 19th century engravings and photogaphs. 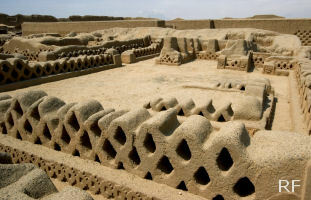 Chan Chan, - close to the Pacific in Peru was the mud brick capital of the Kingdom of Chimor and the ancient Chimú culture that arose in about 900AD. By the 19th century not much had survived. Today some parts have been heavily restored.